NorWest Community Health Centres announced Friday that it will be offering psychotherapy, foot care, dietician services and health care navigators to patients of the Port Arthur clinic, the Aurora Family Health Team and Superior Family Health Organization. The chair of the board of the Port Arthur Health Centre says new complementary health services provided by NorWest Community Health Centres will help address a need for timely care. NorWest announced Friday that it will be offering psychotherapy, foot care, dietician services and health care navigators to patients of the Port Arthur clinic, the Aurora Family Health Team and Superior Family Health Organization. The Port Arthur Health Centre can't offer those services itself because it's funded on a fee-for-service model, rather than receiving funds for wrap-around care for patients, Dr. Chris Allison explained to CBC. It's been hard to access the services that patients need, he said. "Accessing for instance psychology—St. Joseph's Care Group do an excellent job, but they are overwhelmed," Allison said, "so it's timely access to care that I think is going to be the important thing in this." Allison is happy to see health care professionals working as a team to help patients, he added. Patients of the three clinics will be able to access the services free of charge at the same locations where they see their doctors, said Juanita Lawson, the chief executive officer of NorWest Community Health Centres. However, people will have to travel to NorWest for foot care. There is no hard limit on the number of sessions a person can have with a provider Lawson added, but the Centres don't have sufficient resources to provide long-term psychotherapy to everyone who might need it. 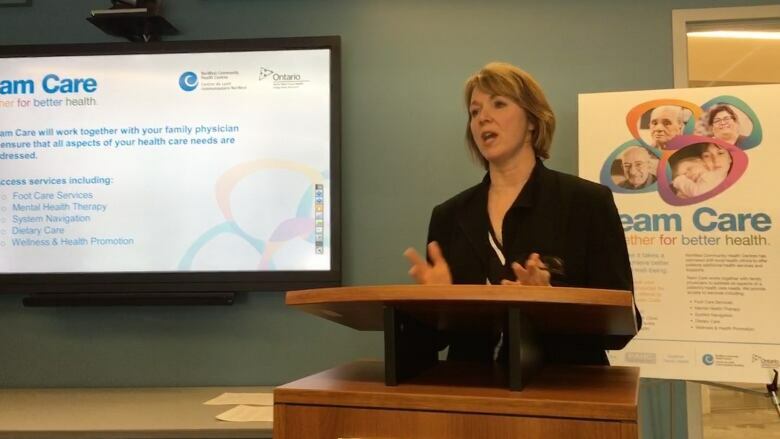 The goal, she said, is to prioritize care for people with no other access to the services the Centres are providing, and, if needed, staff will look for ways to transition patients to other suitable providers.